On Oct 20, 2009 located at Seoul Trade Exhibiton Center (SETEC), the current hottest fashion event Seoul fashion Week Spring/Summer 2010 is being held since Oct 16,2009. SS501 Park Jungmin followed his SS501 fellow member Heo Youngsaeng & Kim Kyujong who went to the event 1 day before him (Oct 19,2009) as he was also spotted as one of the Runway Man for designer Park Chunmu fashion show from Seoul Fashion Week S/S 2010 event . 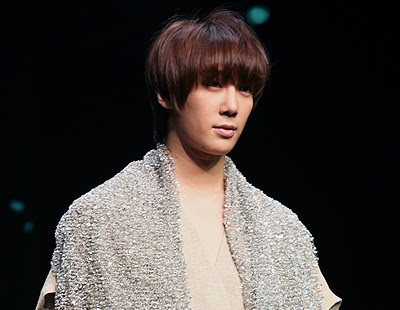 Jungmin is also spotted on stage paired with Jewelry leader Park Jung-ah wearing the designer’s design.